Home Public Services Internet When will the fiber be ready? Fiber laid in mount Lebanon in late 2011; the final completion date remains unclear. 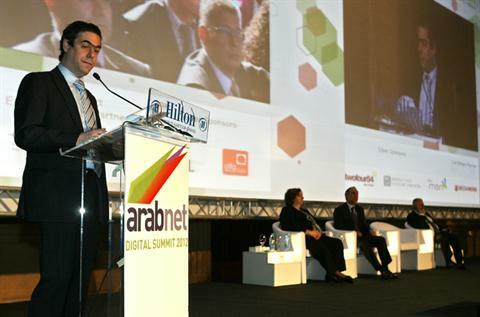 For several years now, successive Lebanese telecom ministers have announced “imminent plans” to launch a national fiber-optic network that would enable the country to finally catch up with the rest of the world and offer globally competitive internet speeds and packages. Former minister Gebran Bassil said the plan would be completed in 2011; former minister Charbel Nahhas said it would be completed in 2012; and current minister Nicolas Sehnaoui has given 2013 as a completion date – not for the entire project – but for its initial stage. So how far along is the fiber rollout and when will it actually be ready? To a certain extent, this depends on whom you ask. 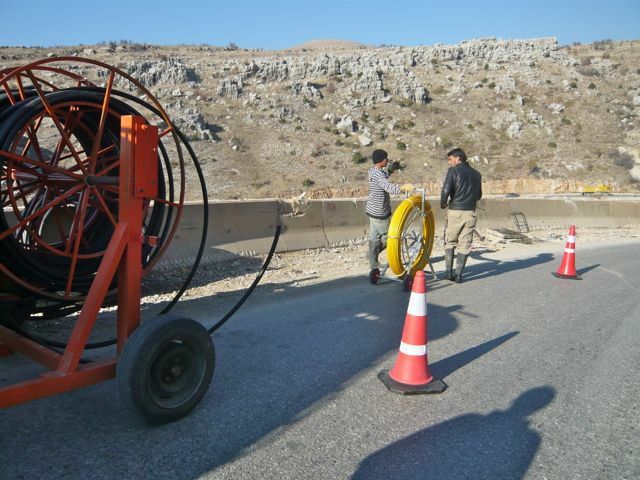 Antoine Hayek, an advisor to Sehnaoui, said the initial stage – the creation of a fiber-optic backbone to interconnect the roughly 300 regional switchboards across Lebanon – was nearing completion and would be ready by summer. Previously, the switchboards, which also serve as post offices and are known colloquially as “centrales,” had been connected to one another via a very limited old generation fiber or more rudimentary means such as copper. This means more than half the centrales across Lebanon cannot currently deliver anything more advanced than dial-up internet services and the entire system lacks redundancy. Thus the network is vulnerable to long outages during disruptions in service, Hayek explained. The laying of the new fiber, which will dramatically increase the traffic load, distribution and reliability of the network, was awarded to Alcatel-Lucent and the Lebanese firm Consolidated Engineering and Trading (CET) for $40 million in late 2010. At the time, the Ministry said the project would take 16 months, and Minister Nahas announced that most Lebanese homes would have access to connections of 15 megabits per second in 18 months. However, more than 30 months later, the project is still ongoing, and most Lebanese are still connecting via DSL at one of the world’s slowest data rates of about 1 megabit per second. Workers unspool Alcatel fiber cables. The company could not comment on the completion date citing confidentiality agreements. Hayek says much of the lost time can be blamed on “administrative delays” such as the change in Cabinet and long approval times with the government auditing office. Then there were “digging issues” and heavy snowfall in the mountains. The good news is that much of the work has been done and now all that remains is the “optimization” phase, which should be completed by June, Hayek said. “All 300 centrales have been connected,” he explained. But according to Ericsson, which is installing intelligent equipment that would enhance the fiber known as DWDM (digital wavelength multiplexing) the number of completed centrales – at least for their portion of the project – is closer to 60, said the firm’s local account manager, Tony Abboud, who was reached by telephone. Meanwhile, the cable-laying portion of the project is still ongoing, according to a source close to the work, who noted that there had been “a lot of problems” in North Lebanon, which would “prevent the project from being completed on deadline.” Another source said there had been delays in the south as well. Realizing they may have said too much, the source abruptly stopped talking after a phone call to the main office. Citing confidentiality agreements, both Alcatel-Lucent and the project manager, local firm Khatib Alami, refused to answer any questions about the rollout status, even the project start date. As one source put it: “This is a very sensitive project. If we tell you the start date, then you will know it is not finished.” Local contractor CET did not return a request for comment either. When put to Hayek during a second interview, he confirmed that there had indeed been delays in North Lebanon related to battles on the Syrian border and fear for staff security. But he said the few affected centrales had since been “removed from the plan” and would be served by sub-stations. Hayek also confirmed Ericsson’s estimate of 60 centrales, saying it reflected the number of “online” centrales, not installed ones, which he maintained was 300. Still this would mean, at least from an activation perspective, that the work is less than halfway complete. So would the project still be up and running by June, as indicated previously? “June, July, August, in this period of time we will finish for sure,” he said. Assuming this deadline is met – well at least one of them – pumping high-speed internet to homes across Lebanon still faces two hurdles. First, because telecom is a state-owned entity here, a new pricing system must be approved by the Council of Ministers. Bandwidth is currently doled out to ISPs by the state in 2 megabit per second (mbps) bundles known as E1 lines, priced around $400 per month. But the ministry says it will now be able to sell ISPs lines known as STM1 starting at 150 mbps each. This flood of new bandwidth should make internet more widely available to consumers who currently face some of the most restrictive caps on the planet, with standard packages ranging from just 4 to 10 gigabytes of consumption per month. Hayek says a new pricing structure is ready to be submitted to the next cabinet whenever it is formed and will provide a “dramatic” reduction in the cost of bandwidth. So what kind of prices can we expect? He could not say. Even if new prices and the fiber backbone are completed by fall 2013 or thereabouts, there is still that issue of getting fiber to homes and apartments. Fiber lines will have to be run from the centrales, but because there are not enough centrales to serve the entire country, the Ministry has decided to construct 2,500 remote telecom cabinets that will be able to reach “any town in Lebanon,” at least theoretically. Now, six months later, Hayek says the tenders are ready and will be submitted as soon as a new cabinet is appointed. The fiber-to-home project will take 12 to 16 months, he says, though parts of Beirut may be connected sooner. Still the start date for this final and critical stage of the rollout remains unclear. Taken at face value, the terms “few months” and “by the end of the year” have often translated into periods spanning several months and several years. 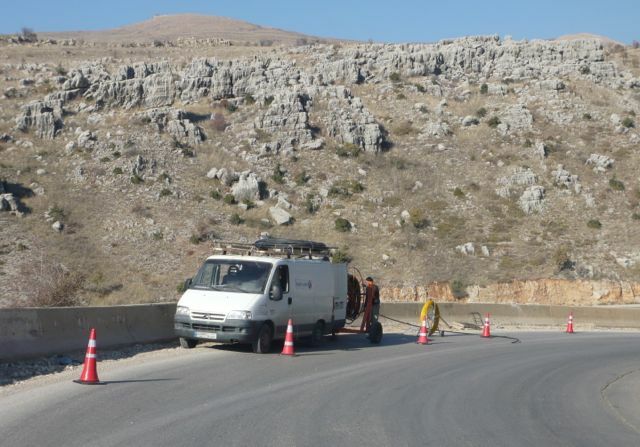 Back in early 2009, then Minister Gibran Bassil had vowed that the fiber rollout would begin a “few months” later that summer and be complete “by the end of 2011.” In reality the project would not start for another two years, and now may not be completed until mid to late 2013. There have also been substantial changes in the estimates of the project cost. Under Bassil, the proposed plan was $64 million; under his successor Nahhas, media reports indicated figures as high as $90 to $160 million; and under Sehnaoui the cost has returned to some $65 million. Meanwhile project scope has also varied from 4,700 kilometers of cables under Bassil, to 2,750 under Nahhas to 3,800 under Sehnaoui. While Nahhas had proposed 100 fiber cabinets, according to news reports, Sehnaoui’s administration has changed the figure to 2,500. Then there are questions as to why the various projects could not have been started simultaneously, particularly with Lebanon lagging so far behind global telecommunications trends for the last decade. After all, the Ministry brings in some $2 billion per year in telecom revenues. Hayek said staff were already overloaded. Like other government offices, the ministry is affected by an unwritten moratorium on hiring and firing since public sector jobs are tied to political appointments. This means some 80% of positions are vacant with a critical shortage of engineers and technicians, jobs that cannot be outsourced due to security considerations. “We don’t have resources,” Hayek said. In addition to the fiber backbone, the Ministry is currently conducting thousands of projects across the country, struggling to keep up with the pace of construction. This is compounded by the fact that municipalities often neglect to undertake basic ducting work and some customers must wait more than 10 months just to get a phone line, even in Beirut. “In Sin El Fil, there is a lovely street with nice new buildings, but we discovered there are no ducts in the road,” he said. Then there are the ongoing infrastructure developments on the mobile side. The rollout of 3G, a project worth $60 million to $70 million, began in 2011 and continues. This year the Ministry has also launched a 4G trial project, aiming to have it ready by – you guessed it – the end of the year. With so many varied challenges and conflicting reports about project costs, progress and completion dates, some may wonder why the Telecom Ministry does not post the status of all ongoing projects online in a transparent, easy-to-track fashion. Alas, the puzzle of Lebanese internet is plagued by a final mystery that eludes even the telecom minister himself. As the new prime minister designate Tammam Salam attempts to form a cabinet, it remains unclear if Sehnaoui will be reappointed. Since telecom ministers have often instituted policies that differ significantly from their predecessors, the move is of concern to both subscribers and ISPs. Imad Tarabay, the head of Lebanon’s largest wireless ISP, Cedarcom Mobi, is hoping for stability. “Hopefully God will give us the opportunity to keep Sehnaoui.” But he admits the likelihood of this scenario remains anyone’s guess. Thanks Amir, can you share the source of this information? Also any idea why there has apparently been a 1 year delay as Ministry officials told above it would be ready by June 2013?